The Willow Dollhouse Kit had mixed reviews by people who had bought it. Some saying they loved it and would recommend it. To others not wanting to recommend it to friends or family. The negatives being minimal. More people genuinely liked it then did not. So yes you will be required to study the information to come to your own conclusions. Whenever buying a dollhouse go back and forth between the ones you have chosen to study. At the very least a couple choices should be selected. Next ask yourself, others, the sellers and the manufacturers questions. This will help you get the answers you seek. Compare any products you love against each other. In the end see which one makes the grade, purchase and enjoy the journey. Get in touch with people who have bought before. Mainly to find out their construction story. 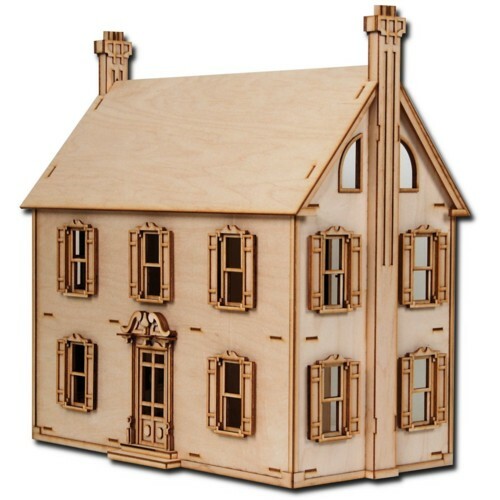 How did the building end of the willow dollhouse kit go for them? An in person discussion will be priceless to you at this stage. Depending of course if this process will be easy. If you do find roadblock after roadblock making a connection with them impossible. End your pursuit and call it a day. From there gather everything you have put together for info. Hopefully in this process you have contacted the manufacturer. Study all your pro and con ideas to determine if this is a project you would like to follow through with. The willow dollhouse kit is a true test of your patience and skill. I would not recommend this kit for a pure novice builder. I built the 6 room furniture kit first then started on the doll house. Make sure you read through the entire instructions first before doing anything. Then make a plan that details what each room will be. Decide what you are going to do with the floors...wood finish, carpet etc. Decide on the paint or wall paper for each room. I highly recommend that you build AND finish the sub-assemblies first (stairway, 1st floor fireplace wall, etc). Next layout your lines on the outside walls for the clapboards and the roof panels for shingles. Next finish the floors and the interior walls and ceilings. Once interior finishing is complete go back to the first instruction and start the assembly of the house. Outside finishing is last and takes some time and a lot of hot glue. If you have questions call the toll free help number in the plans. They will be a big help. It's a great product when completed. Michael Strite gave the Willow Dollhouse Kit a 5 Star rating. Quoted from Amazon. Like the heading states, "some people do have purchase problems". But sometimes because of lack of info, we do not know how these problems came about without them detailing what happened. You know as well as we do. Some folks would have a problem no matter what they were doing. And as well some just should not attempt a kit situation at all. Mainly because of skill level. So always dig into what the negative comments mean. In other words do not base everything on the negative unless you know absolutely what went wrong, first. For all we know the negatives could have happened because of something the customer did. You know some people should never build anything. And that's no joke. My dear father always thought he could handle tools later on in life. We are so glad today that he never got his chance. Or goodness only knows what would have happened. But we do know of whom would have had to clean up the mess. Yes so always look deepest into the negatives. It may surprise you and as well give you something to chuckle over, quietly, after they are confirmed. It tickles our funny bone as to what folk sometimes come up with. As we are sure it does you. Whether or not you rely on previous customer reviews, your own investigation material or the manufacturers info. 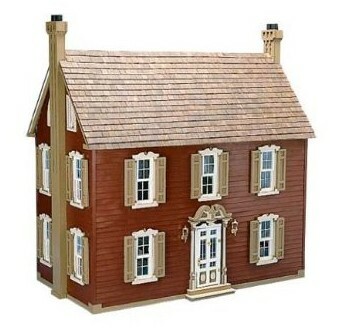 You have enough always to make a good decision concerning any dollhouse purchase. Do a thorough job and you should be well on your way to yet another miniature success. Partial Descriptions Displayed Below. More Info Here . If you are wanting to design your own willow dollhouse kit wallpaper. It is relatively easy. All you need are a few particular items and you are all set up. Software program such as FrontPage 2003. This is a program we are hugely familiar with. It works well in most cases and is easy to work with. Overall it has been an uniquely efficient program of which we have done a number of jobs. Next you will need a photo editor. We chose ArcSoft PhotoStudio. It has a great feature where you can capture a page. So it worked excellently for designing wallpaper. Actually in a matter of minutes. We have a very pleasing illustration for dollhouse wallpaper on the right. You will have to know your scale. What you want is necessary to know for this task. Always keep in mind this handy tip we learnt years ago. When dealing with your computer and minis. 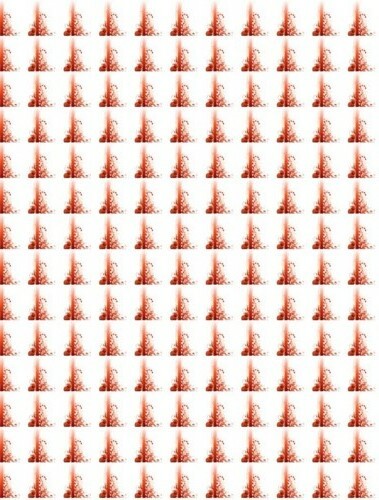 Every 100 pixels equals 1 inch. Basically it does. It is pretty accurate. A printer with good quality ink. Something that will not run when wet. Step 1: Choose your design for the willow dollhouse kit wallpaper. Basically from something small in size. Or a large image that you estimate will make an excellent mini design. It is going to be pretty small. So a great tip is to choose an image with minimal details. It will most likely repeated all over the page. Unless you design one that does not. It's all up to you here what you do. However stay clear of something that is someone's copyrighted pride and joy. Stick to a very basic simple, anyone could have designed it, image and you should be find. Or better still make a drawing that looks the part and then shrink it. Your own designs are always the safest bet. Step 2: Shrink your drawing to the size you have calculated it should be. Then open up FrontPage 2003 and select page properties. On a blank page. Now you are going to browse for your tiny image and use it as your background image for this blank page. Or you can use any web page editor you know and love here. Just make sure your image is set to be all over this page continuously as the background. Step 3: Open up ArcSoft PhotoStudio and capture your now created blank page. Some would ask why not just print the page out right in FrontPage 2003? Well it will not print the background without a lot of searching on our part and we endeavored to do this quickly. For you. Now with the page image captured in PhotoStudio all those lovely images you repeated in a few easy steps are all now visible. Which they would not be in your web page editor. Step 4: Save your large image on a flash drive as is or edited to the size you want and you're ready to print out your wallpaper. Computers and various program software make creating your own wallpaper a breeze. And best of all it can be as unique to your willow dollhouse kit environment as you want it to be. Sometimes we desire to do more than what is supplied to us in a kit. Such as the Willow Dollhouse Kit by Greenleaf. So if you do find yourself in that position. There are dozens of supplies available for most dollhouse environments. Unfortunately the playscale dollhouses do not have this luxury. The supplies for those are either non-existent or small in number. No pun intended. There is good news however for the most popular scale on the market today. The 1:12 scale has much to be drooled over. Anything you can imagine is sold in this scale. From windows, doors, furnishings, food items and whatever the mind can imagine. Not to despair though for larger scales. When as they say life gives you a lemon, make lemonade. In other words make your own fashions and accessories. It really is a lot more fun than just having something handed to you. Below you will find additional windows that have been picked out on purpose. All are for the 1:12 scale and should fashion nicely into your Willow Dollhouse Kit. And help it to be all that you imagine it can be. Most Recent EBook Offer Discover how easy it is to build dollhouse plans. In our newest ebook offer! Join our community and receive your complimentary eBooks. All are welcome. Best Doll House Show Anywhere Discover dollhouse shows in your area. Current listing of shows can be found on each individual website represented. Find out about miniatures and dollhouses up close, in personal and face-to-face. What better way to get acquainted with this relaxing hobby.